The Movement for the Survival of the Ogoni People (MOSOP) has called on Rivers State Governor Nyesom Wike to urgently consider the issue of resettling 1248 Ogonis stranded under terrible conditions in Ouidah, Benin Republic. 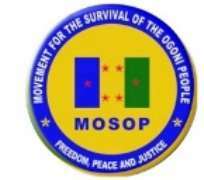 Publicity Secretary of MOSOP, Fegalo Nsuke made the call at a meeting with representatives of Ogoni refugees in Ouidah, Benin Republic. Nsuke, who expressed shock over the terrible conditions of the refugees especially women and children, some of whom are pregnant and lack basic medical care, urged the Rivers State governor to consider the need to resettle the Ogonis as an emergency. "It is critically expedient that the case of 1248 Ogonis who are willing to return home and are currently wasting away and dying in Benin Reublic be considered by the government and I will urge the Rivers State Governor, Nyesom Wike, not to be silent over this but to take the responsibility as governor of Rivers State to wade into this matter and rescue those that are still living" Nsuke said. "I am terribly shocked to find that hunger, sicknesses and diseases are killing our people in Ouidah Benin Republic and they have expressed willingness to return home. I will urge the government of Rivers State to save the situation by taking the responsibility to see that these people are resettled back home" the MOSOP spokesperson said. Some 1248 Ogonis who ran away from state persecution have been stranded in Ouidah, Benin Republic since 1995. They have expressed willingness to return home but lack the resources to do so. Many have died in the process and over 1248 of them currently live under terrible conditions facing hunger, sicknesses and lack medical support even for the pregnant ones among them.